A quick, wholesome breakfast has never tasted so good. 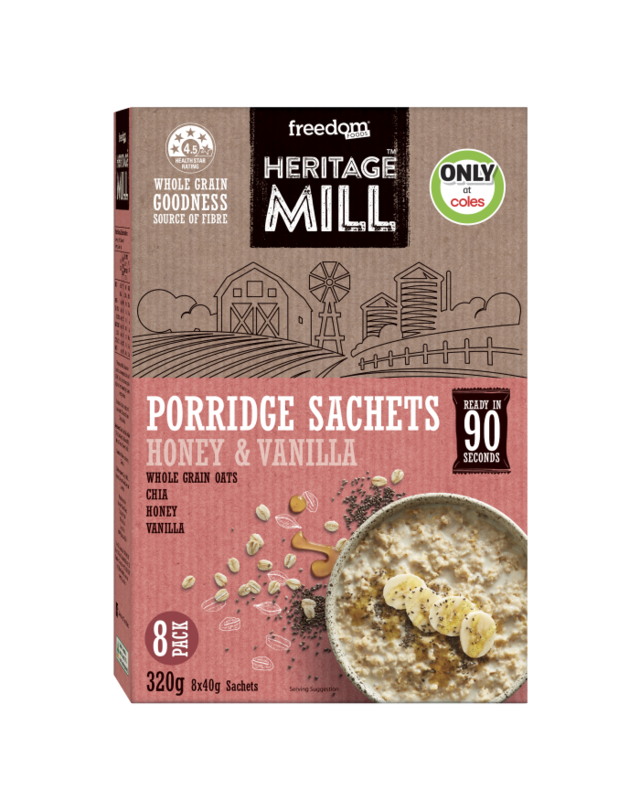 Grab a Heritage Mill Honey & Vanilla Porridge Sachet for a nourishing breakfast, ready in 90 seconds. 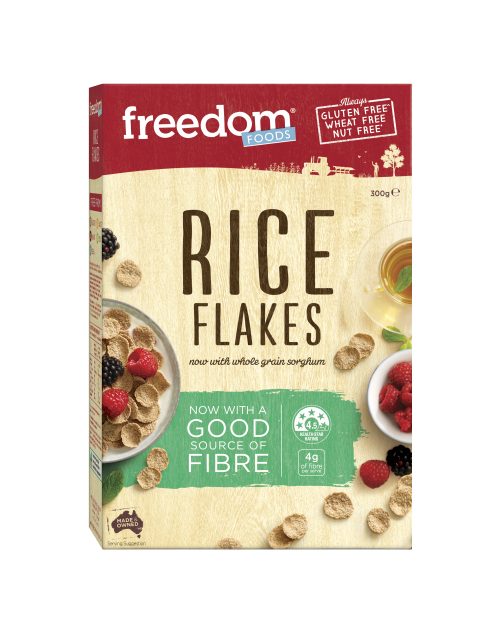 Whole Grain Rolled Oats (88%), Raw Sugar, Chia Seeds (2%), Natural Flavours (Honey, Vanilla). May be present: Lupin, Milk, Peanuts, Sesame Seeds, Soy and Tree Nuts. A quick, wholesome breakfast has never tasted so good. 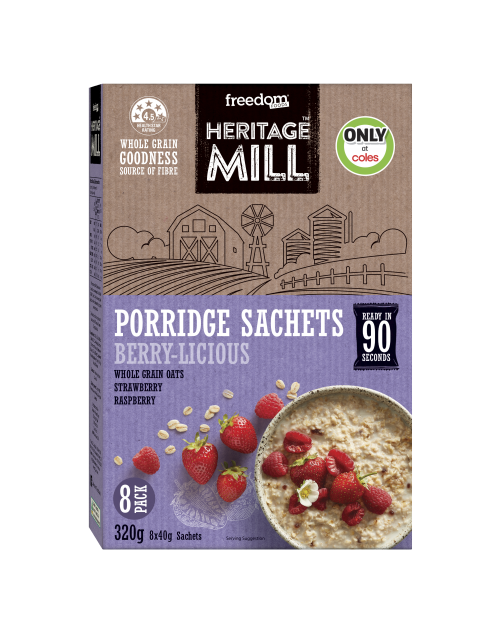 Heritage Mill Porridge Sachets combine whole grain goodness and four delicious flavours – Maple, Date & Pecan, Honey & Vanilla, Berry-licious, and Seeds & Grains – for a nourishing breakfast ready in 90 seconds. I just find it needs more liquid than it states (as all the HM porridge sachet varieties do, in my opinion)- if you only add the amount on the instructions it turns into a sort of hard ball. I add just under a cup of almond milk, or a mix of water/normal milk, then top with some fruit- perfect for me! A quick, wholesome breakfast has never tasted so good. 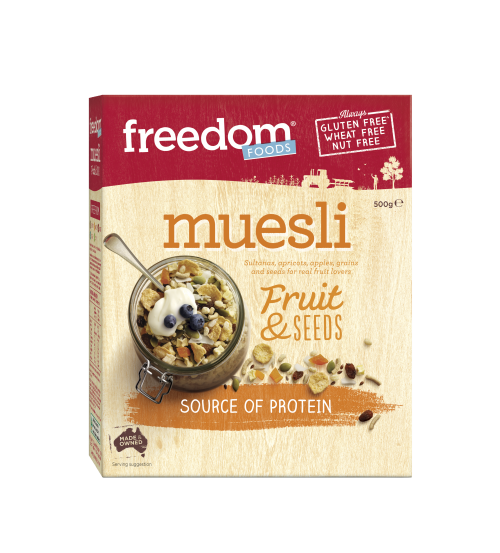 Grab a Berry-licious Porridge Sachet for a nourishing breakfast, ready in 90 seconds. A quick, wholesome breakfast has never tasted so good. 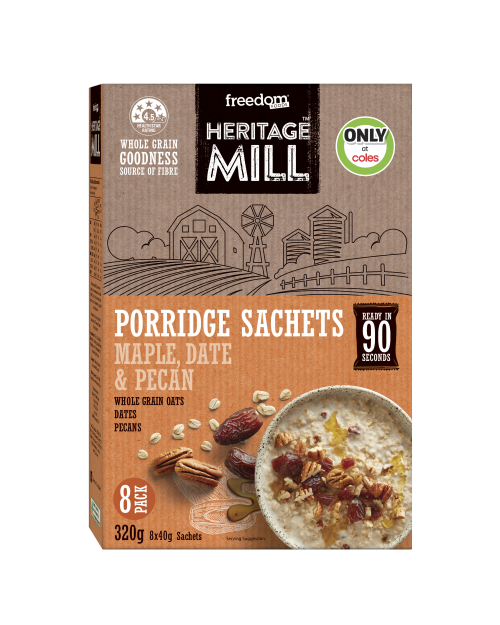 Grab a Heritage Mill Maple, Date & Pecan Porridge Sachet for a nourishing breakfast, ready in 90 seconds. 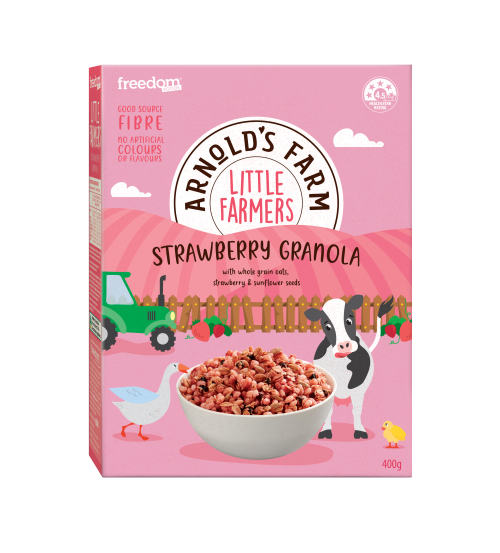 A quick, wholesome breakfast has never tasted so good. Grab a Heritage Mill Seeds & Grains Porridge Sachet for a nourishing breakfast, ready in 90 seconds.